This is what I’m thinking as well. Second guessed it after the Brissett for a 2nd rumor. But, as some have argued, it makes sense for Brissett to have more value. 3rd or 4th round pick seems about right. I follow the jets just as closely as anyone else. we will see but he is nothing special and it was shown when no other team looked in to him including the vikings during free agency. You can tell me I am way off when the jets get a 3rd rd or higher. I'd be good with a 4th for a chance on a camp body. It was a no risk signing that could turn into an extra 4th. Nothing wrong with that. Obviously hate to see injuries but we could really use one next week at the QB position. At that point a 1st or 2nd isn't out of the question but until that happens he's market is probably not even a 3rd it's probably a 4th which is still cool. That fact that the Vikings didn't look at him had nothing to do with what they thought about him as a QB. It had everything to do with his knee uncertainty and a better QB in Cousins on the market. They are a win now team and couldn't afford to risk it all on the shaky knee of Bridgewater. I do agree unless there is an injury we are looking at a 3rd at best but likely a 4th. I brought up moving Lee in the off-season. I agree I’d take what we can get for him now. Maybe he surprises us when the games start but he still looks lost way too often. Never was pro getting Lee. In all honesty I don’t think any ILB is worth a high pick. It’s such an instinct position... it’s one of the dumbest positions to get caught up in combine like stats with. And that’s exactly what we did with Lee. Got caught up in his potential and combine stats. Give me the average speed guy with instincts in Round 2 or 3 every day of the week. Such a wasted pick. It is being reported that 2 teams have internet in Teddy and that is a good thing because the BIDDING will begin. I find it strange that most of you guys would take a 3rd or lower for him. Sam Bradford got a 1st and a 3rd for him. Sam is just as injury prone than Teddy or even more. Vikings let him go because of a log jam at QB and they got Kirk Cousins. Teddy wanted a chance to start so they let him walk. I would be SHOCKED if we did not get more than a 2nd for him. He is a above average QB that is still very young and has proven he can win. He has already put to bed the knee thing by taking hits and making good strong throws with very good accuracy. If we got offered less than a second I would keep him as a backup and wait during the season and see if a team trades for him. His value is only going to go up as the days go by. You know our record with third & fourth draft picks, if we can't get at least a second round pick for him, we should just keep him. 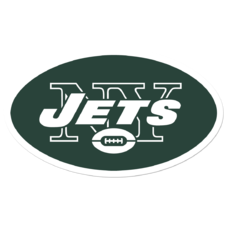 With Darnold , & Bridgewater we would be set at QB for years. How much longer can McCown play, and he is getting 6 million a year. Going into next years draft we will only have one pick in the first seventy or so picks, and I have absolutely no faith in Mac"s, mid and late round picks. At this point of time it looks like our only hope to bring in top caliber players is with the 100 million we have for the FA market. Teddy is a free agent after this year, he’s not going to stick around in a backup role/accept a backup role contract (see Mike Glennon). Trade him for best offer. I think he’d be a nice test drive for the Giants if they were interested. I think some are also underestimating how valuable he can be to actually play for us. Allowing Darnold to learn a few more weeks and keeping us fans interested. I think most of us will be very disappointed to se McCown start at all. It’s very possible the staff doesn’t view Darnold as ready quite yet to start a whole season. We can play Bridgewater and trade him before the trade deadline then start Darnold. That makes sense to me. I have no knock against McCown, but both Bridgewater & Darnold, look like they both could start the season. That up to Bowles to make that decision, he knows better than any of us.